big impact on setup times, precision and versatility while maintaining great reliability and low cost. 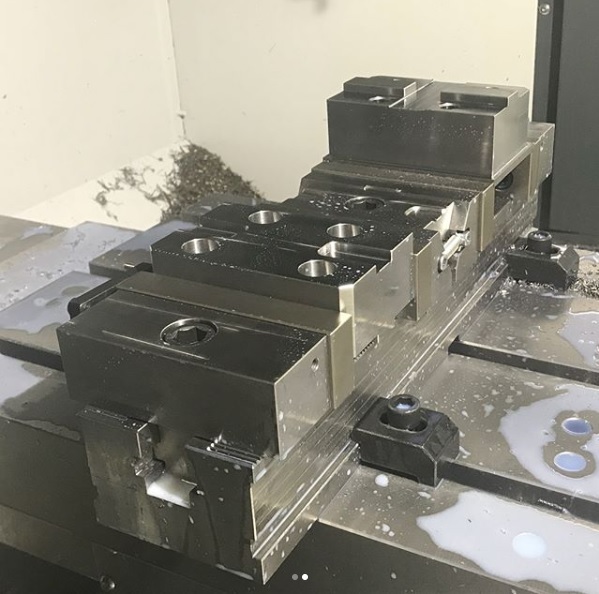 With 1 second needed to go from closed to fully open the Mlock_125.SL single station clamping system is lowering setup times while increasing spindle up time. The Mlock_125.DUO is the low volume high mix optimized version of the Mlock_125 platform, configurable as two 100 mm stations or a 225 mm single station while being compatible with the Mlock_125 Jaw System for maximum versatility. 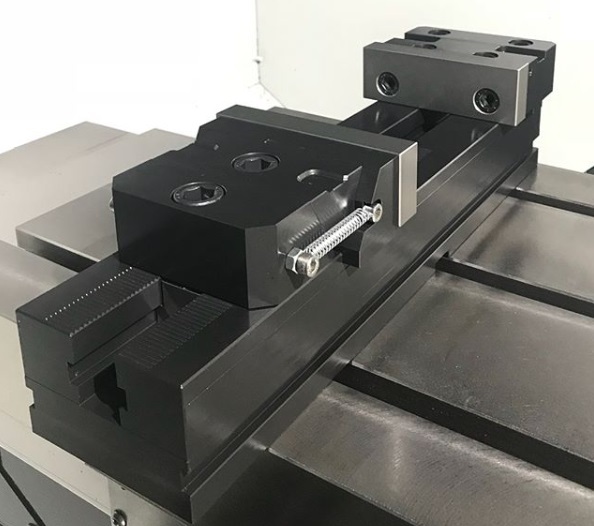 The Mlock_125.SLIM is the size optimized version of the Mlock_125 platform, using a slimmer and shorter base with a movable fix jaw support to allow for flexible workholding on small travel machines or space sensitiv setups. Different standard types of jaws are available to allow the user fast adaptation to any workholding scenario. see the catalog for more info on the Mlock_125 Jaw System. 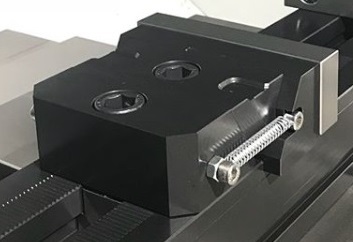 The screwless wedge design generates over 50 kN of clamping power with high reliability, repeatability and feel while distributing down force on the movable jaw to enhance clamping precision. With zero point system ready as a standard the Mlock_125 integrates with ease in any existing production system, like any modern modular workholding platform should. Click HERE to download Clamping system catalogue.